November 03, 2018 / April A. The Montage Deer Valley Resort is a place where you can bring the whole family. There is something for everyone to do plus their's skiing too! It's January and time for a wintery wonderland getaway to a magical place where snow covered tall pines and mountains are your view from your bedroom window. A place where you can ski in and ski out from dinner. A place where all the hustle and bustle of your everyday life melts away and you get to have fun, relax and live life. The kind of life you always imagined. The Montage Deer Valley is that very kind of place. The Montage Deer Valley is located right on the fluffy powdered slopes of Deer Valley Utah adjacent to three high-speed chairlifts. Skiers can stay at this 5 star luxury resort or just ski right in for lunch, dinner or drinks. The architecture and design as well as the art throughout are reminiscent of a lovely mountain lodge. It's cozy comforting and luxurious all at the same time. Original artwork from local rocky mountain artists adorn the resort. One of our favorite features of the resort is that Montage Deer Valley is pet-friendly. Your pet is welcome. 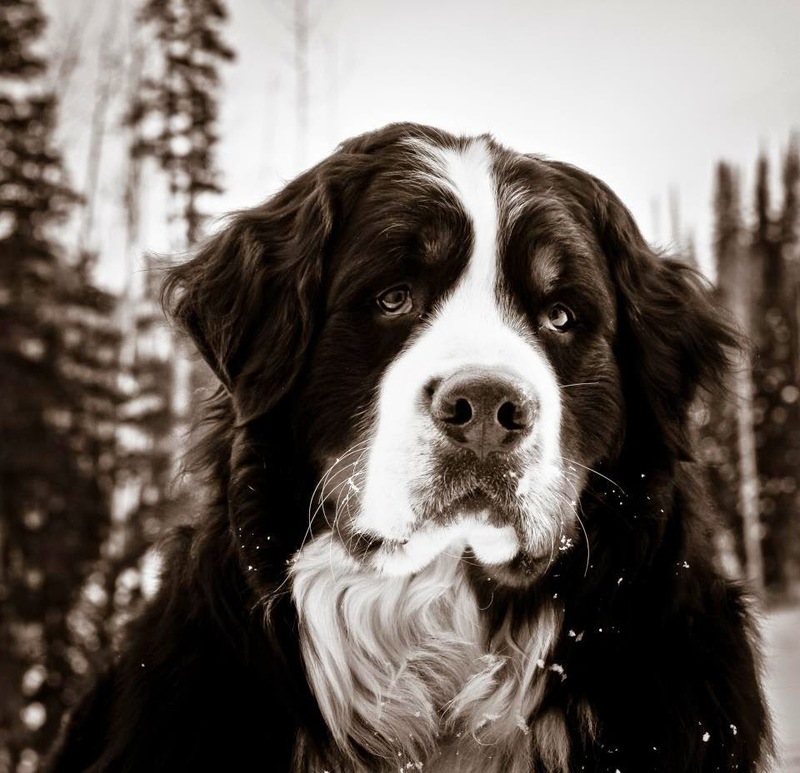 The resort has two sweet mascots Bernese Mountain Dogs Monty (pictured above) and Jonas who are at the resort to greet you with a well-mannered smile. Isn't Monty a handsome boy! If you are more of a stay inside and enjoy the snow from the window view, Daly's Pub is a family friendly place to hang out and have fun. With four regulation bowling lanes the kids will have a great time and so will you! We saw the sweetest older couple spending their anniversary together and having a blast bowling. You can order dinner right at the lanes with a great variety of classic favorites including hearty delicious cheeseburgers, fries and pizza. In the mood for some pool or video games? They have that too. Or you can just hang out at the bar and watch the game after a long day of skiing on the mountain. The indoor and outdoor swimming pools and hot tubs are open year round. One of our very favorite things to do is to sit in the hot tub under the winter snowy night sky as the snow is falling. My family loves it too. It's one of our traditions when we visit a ski resort hotel. It's magical. You have to try it. My girls loved hanging out at the complimentary gourmet s'mores bar choosing from handmade flavored marshmallow and sitting fireside toasting their tasty treat. Our two bedroom three bathroom suite was perfect for our family. We had plenty of room to move around and feel like we are in a nice space rather than a tiny hotel room. The beds are cozy with down pillows and comforters. Each bedroom has a cozy fireplace. We were greeted with fresh cookies and fruit which was a big hit with the kids. The oversized soaking tub is perfect for relaxing the muscles after a day of snow filled activities. There are so many things to do and see in Park City but The Montage Deer Valley offers a complete resort full of activities and relaxation so you never really have to leave to enjoy a great getaway!